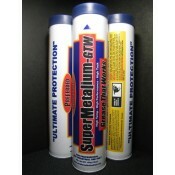 SuperMetalium-GTW (Grease That Works) EP 1.5 is the ultimate multi-purpose grease for most industrial or fleet applications. Utilizing advanced lubrication technology and fortifying it with powerful tackifiers, GTW provides superior adhesive and cohesive film strength. 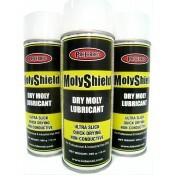 MolyShield (Super Dry w/Moly) is a high performance dry lubricant fortified with natural Molybdenum anti-friction particles. Advanced formula provides long lasting lubrication even under extreme conditions of temperature, pressure and chemical exposure. Centak Open Gear Compound is a thick bodied lubricant for heavy duty applications including construction, mining, industrial equipment and machinery. 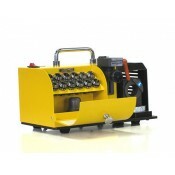 DS Series professional quality sharpening machine maximizes the life and performance of value cutting tools, accurately resharpens damaged or dull drill bits, and is easy to use and portable. The perfect combination of taps and drills crafted from high grade alloy steels including Vanadium and Molybdenum coupled with special thermal processing. These cutters are especially useful for tapping or drilling work hardening materials like stainless steel, staying sharper and longer than comparative products. 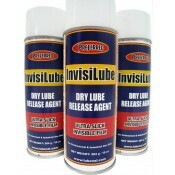 InvisiLube is a chemically inert, non-oily, fast-drying lubricant and release agent made with an extremely fine flurotelomer powder. The latest innovation to our Cheetah Quick Release System, the PHLiPBiT. Flip2Go system combines the 2 most popular tips, (Square/Rob. 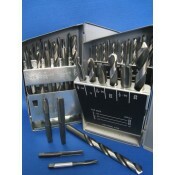 & Phillips) into a double-end tool. One PHLiPBiT replaces 2 single enders, reduces inventory, saves time, money and produces frustration free, rapid load, screw driving. Cheetah Quick Release drill are the fastest & best change out bits available. No need to reload and rechuck the drill machine. Unique "LoknGo" adapter saves time and virtually eliminates loose, misaligned bit installation. 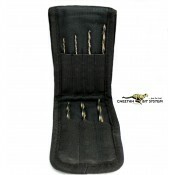 Cheetah bits effectively drill soft and most work hardened material including stainless steel. 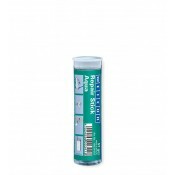 Aqua Epoxy Repair Stick 2 oz. 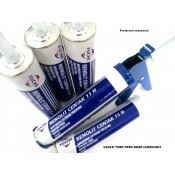 Aqua epoxy repair stick for damp, wet or underwater surface repair. 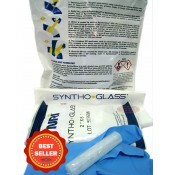 These economical 2 part epoxy sticks are perfect for quick and easy repair. No mess, no guessing, no special tools needed, just cut off the amount required, knead to a uniform putty-like consistency and apply. Durable, versatile & high strength bonding without drip or run-off. At Preferred, we help you do things right...The First Time! 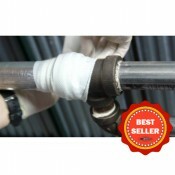 Preferred Industrial is a Business to Business global supplier of Maintenance, Repair and Overhaul (MRO) products. We deliver solution based, technically engineered lubricants, chemicals and industrial consumables to maintenance professionals. We continually evaluate, adapt and advance our products to meet the stringent requirements of our customers and today's modern equipment and machinery. We do business to business shipping. See our Shipping FAQ for more information. We accept payments by Visa, Mastercard, or PayPal. Copyright © 2019. Select Content, Images, and Icons are the exclusive and intellectual property of 686786 BC Ltd. dba Preferred Industrial. All rights reserved.